Every year while we’re Christmas shopping, my husband points out an artificial Christmas tree and tries to talk me into buying it. “It would hold your ornaments better! Think of how much money we’ll save! It won’t leave a trail of pine needles!” And every year, we end up at the farm loading a real Christmas tree in the trunk. I love the scent of a tree in my living room far too much to go faux. But hubby does have a point about the wobbly ornaments and pesky needles. So I called Rick Dungey of the National Christmas Tree Association, who gave me his expert advice for picking out the best Christmas tree. The first thing Rick told me was to measure my space. Sounds like a “duh,” except one year, we actually brought home a tree that was at least 6 inches too tall — and that was without the angel topper. So figure out the max height for your tree, factoring in your topper and a little breathing room. 2. Choose the right type for your lifestyle. Once you get to the store or farm, chances are there will be at least three or four types of trees to choose from. We usually buy a Frazer Fir because its branches support the weight of my heavier ornaments. Rick says that a Balsam Fir is similar though I don’t think I’ve ever seen one. (Another interesting tidbit from him: It’s impossible to determine the most popular kind of Christmas tree because the options vary so much by region.) A Blue Spruce, he says, also has hearty braches but the needles are very prickly. So if you have a young child who wants to help you decorate, this probably isn’t the variety for you. A Douglas Fir has a looser look — and will be fine as long you decorate with ornaments that are on the lighter side. The most willowy tree: white pine. You’ll need to stick with lights and candy canes for this one. 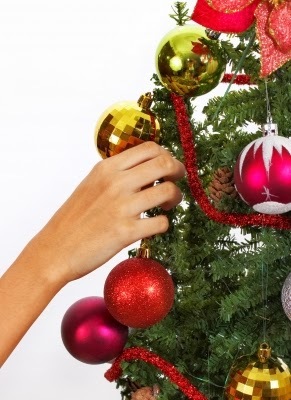 If you’re unsure, bring an ornament with you and test it on the tree to see how it holds up. 3. Make sure it’s fresh. Related After the Turkey, Pie, Candy and Sweets How are YOU Going to Feel? And when the holidays are over, Rick says many communities offer tree recycling. Check with your local public works department for details. “I print out the drop-off location and put the paper under the tree stand,” he says. So when the time comes, you won’t have to think too much about what to do. Now that sounds a plan! Karen Cicero is a freelance food and travel writer. Her work has appeared in Health, Parents, Shape, Fitness and more.